Need an engaging way to practice interpreting topographic maps? 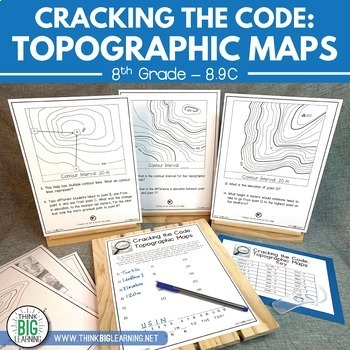 This high-energy activity allows students to work in teams to "crack the code" using their map reading skills. 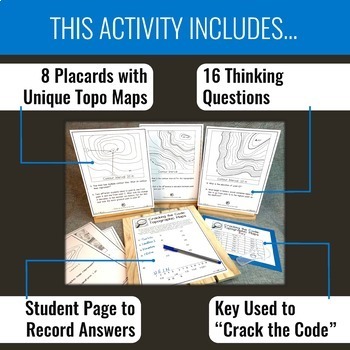 The activity includes various examples of topographic maps and different question types that push students to work and think on a higher level. 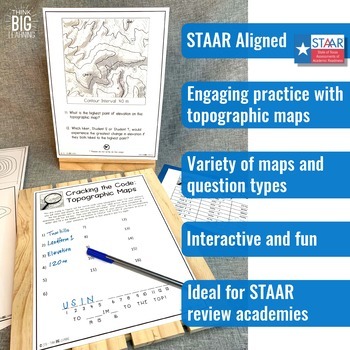 This is a quick, easy review of topographic maps from TEKS 8.9C, that gives students ownership of the content necessary to be successful on STAAR. Keys for "cracking the code"
8.9C - TSIET interpret topographic maps and satellite views to identify land and erosional features and predict how these features may be reshaped by weathering.